Artificial Intelligence – What all you need to know? Are you familiar with the term Artificial Intelligence? Do you know that in your daily life and internet surfing, what is the role of (AI) artificial intelligence? Each day how the technology is adapting the Artificial Intelligence System? I have seen many movies which are based on artificial intelligence. And some of the most Popular movies are I Robot, Resident Evil, Ex Machina and Some more are there. The films share the same kind of story where the computer (the AI system) uses their intelligence to overcome humans. These movies tell us how dangerous can be artificial intelligence. But today in this post I am going to tell you how the AI system has made our life easier and is it really going to be dangerous for us in the coming future. My Blog Niche is about WordPress, SEO and internet marketing and I will surely be covering those parts along with the other things in the post. AI has a long History. Like Charles Babbage was known to be the father of the computer whereas John McCarthy is known as the father of the (AI) Artificial intelligence. He purposed this term in the year 1955 and 1956 in one of his conferences. For a brief history of the AI, I will recommend the link. Although, after John McCarthy, there were many who appeared up the new ideas with AI and thus making Artificial intelligence better. And in the year 2000, robots with artificial intelligence were introduced. Although, the artificial intelligence is not that proficient as compared to the intelligence of a human, It has covered a lot of things in a short span of time. Where is Google using the Artificial Intelligence System? Google is Up with many projects, and I consider that Google is taking the AI to the next level. Just simply count the projects which are being performed by Google using Artificial Intelligence, and I am sure that there will be many of the projects about which we don’t even have a hint. Google Adwords: Where the Bots of Google collects the data from the different searches done by the users of the Google Search Engine. The Google Adwords or the Google Keyword planner almost appear up with exact stats about the keyword competition, traffic, and Bids. And I do believe that it is a kind of artificial intelligence where Google helps the people (a program which is designed to work in this way only). Google Allo: Is another fantastic product which I have recently started using. And I am amazed by this product. This is like using an assistant, which tells us about everything. We just simply type or speak with the app, and it appears up with the best search results on the phone. Google’s Self-Driving Car: It is not possible for a car to drive itself, No doubt a driver is needed to drive a car. But Google has appeared up with the self-driving car. If you are a techie person, then I am sure that you would have heard the news about Google’s Self-Driving Car. Although the car is not perfect to be driven on itself, it uses artificial intelligence to run on its own. The car has sensors which help it to be driven without a driver and has the capability to stop on red lights, apply breaks when some other car is next to it. You can say that an artificial driver is installed in the form of AI in the Car. (AI) In Google Search Engine: Google has recently launched a program which is a part of the algorithm named Hummingbird. And the name of that program is the Rank brain. I have already written a post on “The Working of the Google Rank Brain,” and I will highly recommend you to read that article. There is a long list of products of Google which may or may not be using artificial intelligence. And I will recommend you to check those. Others using Artificial intelligence except for Google. It is not only Google which is using AI, but there are many other organizations, companies, and firms which are using it wisely. I will explain with some of the Products and platforms which are using artificial intelligence. Facebook: I think that Facebook is the most used website on the earth these days and I really appreciate the work of Mark Zuckerberg (owner and founder of the Facebook) who has taken Facebook to the next level. I have been using Facebook since 2008 and seen many changes in Facebook; there are many changes in the designing, better tagging options, and many other related things. Motor vehicles: There are already many cars in the market which are automatic, and we need not operate them entirely manually. There are Cars which are without gears, and we call them automatic cars, on this kind of cars we only have to operate the handle, break and speed. Although the cars still have gears in it, the gears are being changed automatically according to the speed of the car, and I will also call this the (AI). Camera’s: Recently I have started a website named Pixa ocean where I aim to provide free images. But after starting this project, I came to know about the artificial intelligence being used in the cameras. These cameras also have an automatic feature which adjusts all the light (ISO), Focus and all the other things to which we can say that a camera has an AI in it. And even these days Cameras and the camera’s of the Mobile automatically detects the face of the person or a number of people in the camera, thus leading us towards artificial intelligence. Air conditioners: Day before yesterday I saw an advertisement on the television. The air conditioner company claims that the air conditioner automatically adjusts the room temperature depending on the heat produced in the chamber or a hall. Amazon Go: Well, according to me Amazon Go is one of the best examples of artificial intelligence. And I do believe that Amazon go can be the biggest competitor of Google. They have taken the AI to the next level, and I consider it to be the best one. And they call this “just walk out Technology.” I have attached a small video about the Amazon Go which is amazing, and I will recommend you to watch. And also like Google, there may be many products and companies which must be using artificial intelligence programs, and I don’t know about them or haven’t yet heard of those. How much SEO has been affected by AI? The use of AI has accelerated the SEO. Many internet surfers who use Google now has much better results than before. In the year 2015 before the actual launch of RankBrain, A test was conducted between the Rankbrain algorithm and the engineers working in Google. And the results amazed Google. When they came to know that the Engineers were able to provide 70% accurate results whereas RankBrain provided 80% accurate result. So, Google implemented this, and now the RankBrain (AI) is the part of Google’s core algorithm and helps to get better results. I believe that AI has a better future. 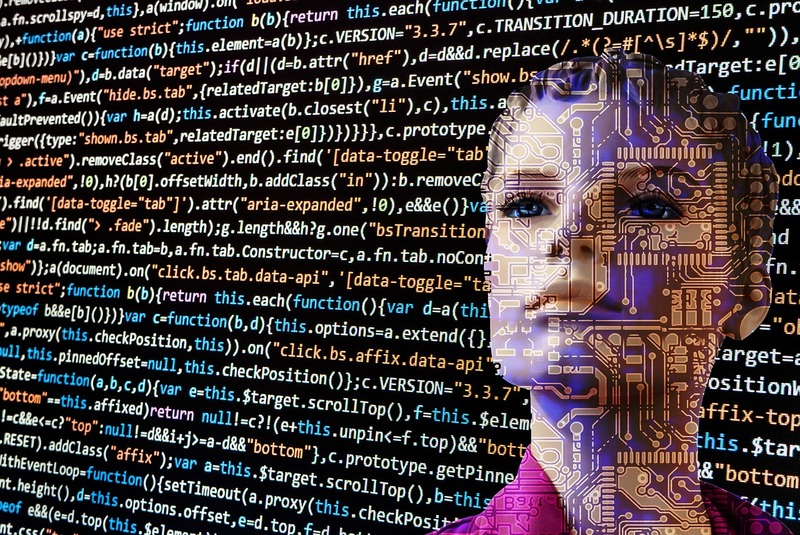 Many good programmers are working on artificial intelligence to make it more efficient. And it does look like that AI is going to be involved in our daily life as well. Although, Amazon has taken the initiative for it. Are there any disadvantages of using the artificial intelligence System? As AI is not part of our life yet, so I have found no disadvantages of using it. But there can be some disadvantages to it in the future. Finally, What I want to say. Artificial intelligence is like a dream. Like God has given us our own will to live a life according to our will. And in the same way if we are going to give a will to the machines then that can be dangerous, and then even the machines could turn against us. But on the other hand use of the AI on the Search engines, CMS’s and something related programs to it are making our work a lot easier. So, I would love to know your Opinion about the AI in the commenting section. How to become a successful entrepreneur online? How to Utilize the Power of AI-Based Testing Tools: A Complete Guide? AI is the future for sure. More and more companies are getting into this field and we will see much badass innovations soon. Great post, and some solid point I saw in this post. I think anyone who’s been online for a few years has had their run in with these. It’s very obvious that our future is totally on AI now & the way I look towards future is that we are seriously going to change the world within 50 years.